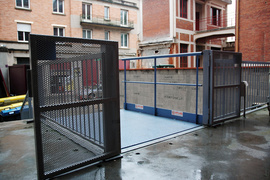 CEFAM Fabrications ATLAS have been specializing in design, manufacture and marketing of lifting tables, platforms and good-only lifts for 40 years.We offer handling equipment from the standard to the very special solution, always customized to your specific requirements of using, in all branches of industry. ATLAS tailor made lifting equipment meet all the specific handling requirements. 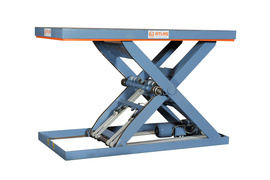 Our new ATLAS electromechanical lifting table with high duty cycles. 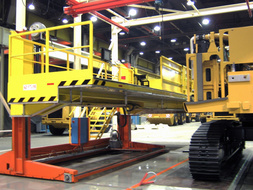 With our mobile lifting tables, motorized or manual, you can work and handle your load freely. Our ATLAS Railway lifting equipment are tailor-made solutions respecting your specific requirements. 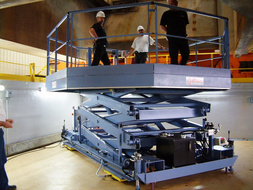 ATLAS working lifting platforms offering ergonomics and security for operators. The new European Standard EN1570-1 for safety on lifting tables is in application. 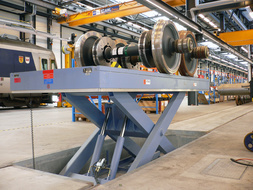 Electro-hydraulical super low profil lifting table model "EB"